The building of the huge 38-storey tower proposed by the Gasan Group is set to have a dramatic impact on views enjoyed by pedestrians strolling along Ghar id-Dud, the Sliema promenade, apart from breaking the skyline when viewed from as far away as Rinella Bay in Kalkara. “Keeping windows shut” during the construction of a Sliema tower to avoid having to listen to the noise from a new phase of intensive development is “unreasonable”, the Environment Resources Authority said. Its comment came in a reaction to an environmental planning statement (EPS) submitted way back in 2012 by consultants of the proposed Townsquare project in Sliema, which will erect a 38-storey tower behind Villa Drago. The ERA has noted that the impact, played down somewhat in the EPS as ‘short term’, would be indeed significant because excavation will take 10 months and construction four years, in an already densely populated area that surrounds the proposed tower. This concern was already expressed by the Environment Protection Directorate back in 2012 and reiterated in a report sent to the Planning Authority by the ERA last week. Former environment minister Mario de Marco had in 2012 also described the measure as “unreasonable”. The ERA expressed concern on the visual impact of the project. 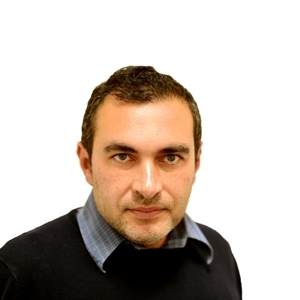 While the EPS consultants, which are commissioned by the Gasan Group, warned that the project would have a major impact when seen from Tower Road and from the Preluna Hotel, the ERA also contends that the project would also have a major impact when seen from Manoel Island and the Valletta ferry landing. It also expressed concern on the results of a scan line geological survey, which warned of the “potential collapse of excavation”. This impact is described as “uncertain” in the EPS. The ERA is calling for more “precise details”, adding that a conclusive assessment on this issue could only be made when these details are submitted to the Planning Authority. The scan line study conducted to assess unstable rock wedges and slabs in the margin of the development, warns of potential earth movements along the walls of the excavation. The project would involve the excavation of 109,251 cubic metres of rock. The amount of rock, which will have to be deposited in a licensed quarry, will amount to 8% of the average amount deposited on an annual basis. The ‘Dubai-fication’ of the Sliema skyline is in full swing, with two newly proposed towers fighting for the honour of becoming Malta’s tallest buildings. As far as plans go, a 40-storey tower being proposed on top of the Fort Cambridge officers’ mess is set to become Malta’s tallest tower block. 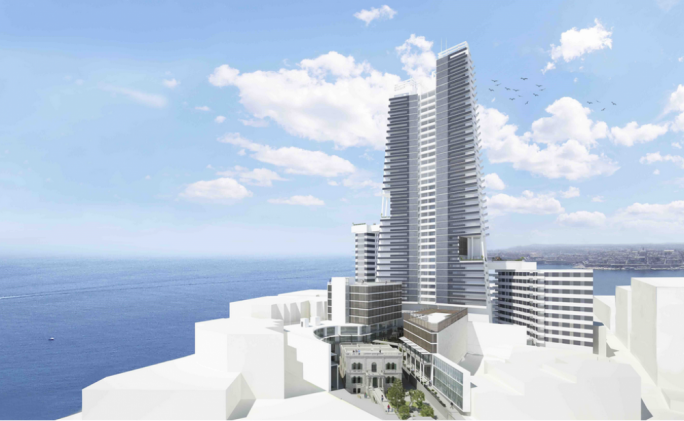 If approved the two Sliema towers will be higher than any other building in Malta, surpassing by far the Portomaso tower, which is 23 floors. Not very far away, the Metropolis development in Gzira is set to rise to 33 floors. The Townsquare project, which includes the premises of the former Union Club and the scheduled Villa Drago, which is to be restored, dates back to 2005 when an application was presented to construct a shopping hall, residential units and an underground car park on this site. The Tigné peninsula, which already includes the 17-storey high Fortina Hotel and the 20-storey high Fort Cambridge apartment blocks is one of the six localities where tall buildings can be developed. The report warns that the World Heritage status is not an “automatic right” but can be revoked, as was about to happen to Cologne’s Cathedral following the proposal of a high-rise building in its vicinity.